- Boschma has been member of the Research, Innovation and Science Experts (RISE) High-Level Advisory Body to European Commissioner Carlos Moedas in 2015-2016. - Since 2015, Boschma is Board member of the International Regional Studies Association. - Boschma was ranked by Thomson Reuters among the top 1% of cited researchers (all fields) worldwide in 2014, 2015, 2016, 2017 and 2018. - On July 4 2013, Ron Boschma received a Honorary Doctorate in the Natural Sciences ("Doktor der Naturwissenschaften ehrenhalber") from Marburg University (Fachbereich Geographie) in Germany. "Papers in Evolutionary Economic Geography"
Balland, P.A., R. Boschma and J. Ravet (2019) Network dynamics in collaborative research in the EU, 2003-2017, Papers in Evolutionary Economic Geography, no. 19.11, Utrecht University, Utrecht. Steijn, M.P.A., P.A. Balland, R. Boschma and D.L. Rigby (2019)Technological Diversification of U.S. Cities during the Great Historical Crises, Papers in Evolutionary Economic Geography, no. 19.01, Utrecht University, Utrecht. Solheim, M.C.W., R. Boschma and S. Herstad (2018), Related variety, unrelated variety and the novelty content of firm innovation in urban and non-urban locations, Papers in Evolutionary Economic Geography, no. 18.36, Utrecht University, Utrecht. Pinheiro, F.L., A. Alshamsi, D. Hartmann, R. Boschma and C. Hidalgo (2018) Shooting Low or High: Do Countries Benefit from Entering Unrelated Activities?, Papers in Evolutionary Economic Geography, no. 18.07, Utrecht University, Utrecht. Antonietti, R. and R. Boschma (2018), Social capital, resilience and regional diversification in Italy, Papers in Evolutionary Economic Geography, no. 18.04, Utrecht University, Utrecht. Elekes, Z., R. Boschma and B. Lengyel (2018), Foreign-owned firms as agents of structural change in regions: the case of Hungary 2000-2009, Regional Studies, forthcoming. Farinha Fernandes, T., P. Balland, A. Morrison and R. Boschma (2019) What drives the geography of jobs in the US? Unpacking relatedness, Industry and Innovation, doi: 10.1080/13662716.2019.1591940. De Vaan, M., K. Frenken and R. Boschma (2019) The downside of social capital in new industry creation, Economic Geography, doi: 10.1080/00130095.2019.1586434. Morrison, A. and R. Boschma (2018) The spatial evolution of the Italian motorcycle industry (1893-1993). Klepper’s heritage theory revisited, Industrial and Corporate Change, doi:. 10.1093/icc/dty019. Cappelli, R., R. Boschma and A. Weterings (2018) Labour mobility, skill-relatedness and new plant survival across different development stages of an industry, Environment and Planning A, doi: 10.1177/0308518X18812466. Balland, P.A., R. Boschma, J. Crespo and D. Rigby (2018), Smart specialization policy in the EU: Relatedness, knowledge complexity and regional diversification, Regional Studies, doi: 10.1080/00343404.2018.1437900. Habersetzer, A., S. Grèzes-Bürcher, R. Boschma and H. Mayer (2019) Enterprise-related social capital as a driver of firm growth in the periphery? Journal of Rural Studies, 65, 143-151. Xiao, J., R. Boschma and M. Andersson (2018) Industrial diversification in Europe. The differentiated role of relatedness, Economic Geography 94 (5), 514-549. Mudambi, R., L. Li, X. Ma, S. Makino, G. Qian and R. Boschma (2018) Zoom in, zoom out: geographic scale and multinational activity, Journal of International Business Studies 49 (8), 929-941. Hidalgo, C., Balland, P.A., Boschma, R., Delgado, M., Feldman, M., Frenken, K., Glaeser, E., He, C., Kogler, D., Morrison, A., Neffke, F., Rigby, D., Stern, S., Zheng, S., and Zhu, S. (2018) The Principle of Relatedness, Springer Proceedings in Complexity, 451-457. Neffke, F., M. Hartog, R. Boschma and M. Henning (2018) Agents of structural change. The role of firms and entrepreneurs in regional diversification, Economic Geography 94 (1), 23-48. Xiao, J., R. Boschma and M. Andersson (2018) Resilience in the European Union: the effect of the 2008 crisis on the ability of regions in Europe to develop new industrial specializations, Industrial and Corporate Change 27 (1), 15-47. Cortinovis, N., J. Xiao, R. Boschma and F. van Oort (2017) Quality of government and social capital as drivers of regional diversification in Europe, Journal of Economic Geography 17 (6), 1179–1208. Boschma, R., V. Martin and A. Minondo (2017) Neighbour regions as the source of new industries, Papers in Regional Science, 96 (2), 227-245. Alvedalen, J. and R. Boschma (2017) A critical review of entrepreneurial ecosystems research: towards a future research agenda, European Planning Studies, 25 (6), 887-903. Boschma, R. (2017) Relatedness as driver behind regional diversification: a research agenda, Regional Studies, 51 (3), 351-364. Boschma, R., S. Iammarino, R. Paci and J. Surinach (2017) Economic perspectives on the European Neighbourhood Policy: an Introduction, Journal of Economic and Social Geography, 108, 1: 1-3. Wesselink, E. and R. Boschma (2017), European Neighbourhood Policy: History, Structure, and Implemented Policy Measures, Journal of Economic and Social Geography, 108,1: 4-20. Boschma, R., L. Coenen, K. Frenken and B. Truffer (2017) Towards a theory of regional diversification: combining insights from evolutionary economic geography and transition studies, Regional Studies, 51,1: 31-45. Broekel, T. and R. Boschma (2016) The cognitive and geographical structure of knowledge links and how they influence firms’ innovation performance, Regional Statistics 6 (2), 3-26. Boschma, R. and G. Capone (2016) Relatedness and Diversification in the European Union (EU-27) and European Neigbourhood Policy countries, Environment and Planning C: Government and Policy, 34, 617-637. Boschma, R., E. Maroccu and R. Paci (2016) Symmetric and asymmetric effects of proximities. The case of M&A deals in Italy, Journal of Economic Geography 16 (2), 505-535. Ellwanger, N. and R. Boschma (2015), Who acquires whom? The role of geographical proximity and industrial relatedness in Dutch domestic M&As between 2002 and 2008, Journal of Economic and Social Geography, 106 (5), 608-624. Boschma, R. (2015) Do spinoff dynamics or agglomeration externalities drive industry clustering? A reappraisal of Steven Klepper's work, Industrial and Corporate Change 24 (4), 859-873. Boschma, R. and G. Capone (2015) Institutions and diversification: Related versus unrelated diversification in a varieties of capitalism framework, Research Policy 44, 1902-1914. Balland, P.A., D. Rigby and R. Boschma (2015) The technological resilience of cities, Cambridge Journal of Regions, Economy and Society 8, 167-184. Balland, P.A., R. Boschma and K. Frenken (2015) Proximity and innovation: From statics to dynamics, Regional Studies 49 (6), 907-920. Boschma, R. (2015), Towards an evolutionary perspective on regional resilience, Regional Studies 49 (5), 733-751. Boschma, R., P.A. Balland and D.F. Kogler (2015), Relatedness and technological change in cities: The rise and fall of technological knowledge in U.S. metropolitan areas from 1981 to 2010, Industrial and Corporate Change, 24 (1), 223-250. Boschma, R. and M. Hartog (2014) Merger and acquisition activity as driver of spatial clustering: the spatial evolution of the Dutch banking industry, 1850-1993, Economic Geography, 90 (3), 247-266. Boschma, R. E. Feser, J. Henneberry, S. Iammarino, A. Lagendijk, L. Ma, N. Massard, P. Oinas, F. van Oort, R. Pijpers, A. Pike, A. Varga & S. Usai (2014) Editorial: Sailing in the Ocean of Knowledge, 2008-13, Regional Studies, 48 (8), 1313-1318. Boschma, R. (2014) Constructing regional advantage and smart specialization: Comparisons of two European policy concepts, Italian Journal of Regional Science (Scienze Regionali) 13 (1), 51-68. R. Boschma, G. Heimeriks and P. Balland (2014), Scientific knowledge dynamics and relatedness in biotech cities, Research Policy, vol. 43, no. 1, 107-114. Boschma, R., R.H. Eriksson and U. Lindgren (2014) Labour market externalities and regional growth in Sweden. The importance of labour mobility between skill-related industries, Regional Studies, 48 (10), 1669-1690. Timmermans, B. and R. Boschma (2014) The effect of intra- and inter-regional labour mobility on plant performance in Denmark: the significance of related labour inflows, Journal of Economic Geography 14, 289-311. Heimeriks, G. and R. Boschma (2014) The path- and place-dependent nature of scientific knowledge production in biotech 1986-2008, Journal of Economic Geography 14, 339-364. Boschma,R., S. Iammarino and E. Steinmueller (2013) Editorial: Geography, skills and technological change, Regional Studies, 47 (10), 1615-1617. De Vaan, M., R. Boschma and K. Frenken (2013) Clustering and firm performance in project-based industries: the case of the global video game industry, 1972-2007, Journal of Economic Geography, 13 (6), 965-991. Balland, P.A., M. de Vaan and R. Boschma (2013) The dynamics of interfirm networks along the industry life cycle: The case of the global video game industry, 1987-2007, Journal of Economic Geography, 13 (5), 741-765. Todtling, F., B. Asheim and R. Boschma (2013) Knowledge sourcing, innovation and constructing advantage in regions of Europe, European Urban and Regional Studies, 20 (2), 161-169. Randelli, F. and R. Boschma (2012) Dynamics of industrial districts and business groups. The case of the Marche region, European Planning Studies, 20 (12), 1961-1974. Neffke, F.M.H., M. Henning and R. Boschma (2012), The impact of aging and technological relatedness on agglomeration externalities: a survival analysis, Journal of Economic Geography, 12 (2), 485-517. Hartog, M., R. Boschma and M. Sotarauta (2012), The impact of related variety on regional employment growth in Finland 1993-2006. High-tech versus medium/low-tech, Industry and Innovation, 19 (6), 459-476. Boschma, R., A. Minondo and M. Navarro (2012) Related variety and regional growth in Spain, Papers in Regional Science, 91 (2), 241-256. Broekel, T. and R. Boschma (2012), Knowledge networks in the Dutch aviation industry: the proximity paradox, Journal of Economic Geography, 12 (2), 409-433. Boschma, R. and D. Fornahl (2011), Cluster evolution and a roadmap for future research, Regional Studies, 45 (1): 1295-1298. Heebels, B. & R. Boschma (2011), Performing in Dutch book publishing 1880-2008. The importance of entrepreneurial experience and the Amsterdam cluster, Journal of Economic Geography, 11, 1007-1029. Neffke, F., M. Henning and R. Boschma (2011), How do regions diversify over time? Industry relatedness and the development of new growth paths in regions, Economic Geography, 87 (3): 237-265. Fornahl, D., Broekel, T. & Boschma, R. (2011), What drives patent performance of German biotech firms? The impact of R&D subsidies, knowledge networks and their location, Papers in Regional Science, 395-418. Asheim, B.T., R. Boschma & P. Cooke (2011), Constructing regional advantage: Platform policies based on related variety and differentiated knowledge bases, Regional Studies, 45 (7), 893-904. Broekel, T. & R. Boschma (2011), Aviation, space or aerospace? Exploring the knowledge networks of two industries in the Netherlands, European Planning Studies, 19 (7), 1205-1227. Neffke, F., M. Henning, R. Boschma, K.-J. Lundquist & L.-O. Olander (2011), The dynamics of agglomeration externalities along the life cycle of industries, Regional Studies, 45 (1), 49-65. Ter Wal, A.L.J. & R. Boschma (2011), Co-evolution of firms, industries and networks in space. Regional Studies, 45 (7), 919-933. Boschma, R. and K. Frenken (2011), The emerging empirics of evolutionary economic geography, Journal of Economic Geography, 11 (2), 295-307. Wal, L.J. ter & Boschma, R.A. (2009). Applying social network analysis in economic geography: framing some key analytic issues. The Annals of Regional Science, 43(3), 739-756 (pdf). Weterings, A.B.R. and R.A. Boschma (2009), Does spatial proximity to customers matter for innovative performance? Evidence from the Dutch software sector, Research Policy, 38, 746-755. Boschma, R., R. Eriksson & U. Lindgren (2009), How does labour mobility affect the performance of plants? The importance of relatedness and geographical proximity. Journal of Economic Geography 9 (2), pp.169-190. Boschma, R.A. & K. Frenken (2009), Some Notes on Institutions in Evolutionary Economic Geography. Economic Geography 85 (2), pp. 151-158. Boschma, R.A. and M. Fritsch (2009), Creative class and regional growth. Empirical evidence from seven European countries, Economic Geography, vol. 85 (4) pp. 391-423. Boschma, R.A. and S. Iammarino (2009) , Related Variety, Trade Linkages and Regional Growth, Economic Geography, vol. 85 (3), 289-311. Needham, B., R. Boschma, S. Duhr, C. Fan, K. Frenken, R. Hassink, S. Iammarino, A. Lagendijk, F. van Oort, P. Oinas, A. Pike and A. Varga (2009), Editorial. Reaching out to new territories, Regional Studies, (43) 1, pp. 1-4. Boschma R.A. & J.W.J. Weltevreden (2008), An evolutionary perspective on Internet adoption by retailers in the Netherlands. Environment and Planning A 40 (9), pp. 2222-2237. Weltevreden, J.W.J. & R.A. Boschma (2008), The influence of firm-owner characteristics on Internet adoption by independent retailers. A business survey, International Journal of Internet Science, 3 (1), pp. 34-54. Weltevreden, J.W.J. & R.A. Boschma (2008), Internet strategies and performance of Dutch retailers. Journal of Retailing and Consumer Services 15, pp. 163-178. Boschma, R.A. & R. Martin (2007), Constructing an evolutionary economic geography. Journal of Economic Geography 7 (5), pp. 537-548. Boschma, R.A. & M. Sotarauta (2007), Economic policy from an evolutionary perspective: the case of Finland. International Journal of Entrepreneurship and Innovation Management 7, pp. 156-173. Boschma, R.A. & A.L.J. ter Wal (2007), Knowledge networks and innovative performance in an industrial district: the case of a footwear district in the South of Italy. Industry and Innovation 14 (2), pp. 177-199 (pdf). Boschma, R.A. & R. Wenting (2007), The spatial evolution of the British automobile industry: does location matter? Industry and Corporate Change 16 (2), pp. 213-238 (pdf). Frenken, K. & R.A. Boschma (2007), A theoretical framework for economic geography: industrial dynamics and urban growth as a branching process. Journal of Economic Geography 7 (5), pp. 635-649 (pdf). Boschma, R.A. (2006), Does geographical proximity favour innovation? Economie et Institutions (6-7), pp. 111-127. Boschma, R.A. & K. Frenken (2006), Why is economic geography not an evolutionary science? Towards an evolutionary economic geography, Journal of Economic Geography 6 (3), pp. 273-302 (pdf). Boschma, R.A. & A.B.R. Weterings (2005), The effect of regional differences on the performance of software firms in the Netherlands, Journal of Economic Geography, vol. 5, pp. 567-588. Boschma, R.A. (2005), Proximity and innovation. A critical assessment, Regional Studies, vol. 39, no. 1, pp. 61-74. Weltevreden, J.W.J., O.A.L.C. Atzema & R.A. Boschma (2005), The adoption of the Internet by retailers. A new typology of strategies, Journal of Urban Technology, vol. 12, no. 3, pp. 59-87. Boschma, R.A. (2005), Competitiveness of regions from an evolutionary perspective, The Association of Regional Observatories,pp. 10-13. Boschma, R.A. (2005), Role of proximity in interaction and performance. Conceptual and empirical challenges, Regional Studies, vol. 39, no. 1, pp. 41-45. Boschma, R.A. (2004), The competitiveness of regions from an evolutionary perspective, Regional Studies, vol. 38, no. 9, pp. 1001-1014. Visser, E.J. & R.A. Boschma (2004), Learning in districts. Novelty and lock-in in a regional context, European Planning Studies,vol. 12, no. 6, pp. 793-808. Boschma, R.A. (2004), Proximite et innovation, Economie Rurale, vol. 280, Mars-Avril, pp. 8-24. Lambooy, J.G. and R.A. Boschma. (2001), Evolutionary economics and regional policy, Annals of Regional Science, vol. 35, no. 1, pp. 113-133. Boschma, R.A. and R.J.P. Schobben (2000), Europe and the region. The issue of governance, Regional and Federal Studies, vol. 10, no. 2, pp. 1-9. Boschma, R.A. (2000), The implications of the European monetary union for regional development, Journal of Economic and Social Geography, vol. 91, no.2, pp. 190-193. Schobben, R.J.P. and R.A. Boschma (2000), Governance in the European Union: some concluding remarks, Regional and Federal Studies, vol. 10, no. 2, pp. 126-140. Boschma, R.A. (1999), The rise of clusters of innovative industries in Belgium during the industrial epoch. Research Policy, vol. 28, pp. 853-71. Boschma, R.A. (1999), Learning and regional development, GeoJournal, vol. 49, 4, pp. 339-343. Boschma, R.A. and G.A. van der Knaap (1999), New high-tech industries and windows of locational opportunity: the role of labour markets and knowledge institutions during the industrial era. Geografiska Annaler, vol. 81, no. 2, Series B, pp. 73-89. Boschma, R.A. and J.G. Lambooy (1999), Evolutionary economics and economic geography. Journal of Evolutionary Economics, vol. 9, nr. 4, pp. 411-29. Boschma, R.A. (1997), New industries and windows of locational opportunity. A long-term analysis of Belgium, Erdkunde, vol. 51, pp. 12-22. Boschma, R.A. (1996), The window of locational opportunity concept, Collana di Teoria Economica, vol. 43, no. 260, Bologna: Universita degli Studi di Bologna, Dipartimento di ScienzeEconomiche, pp. 1-36. Balland, P., R. Boschma and K. Frenken (2019) Proximity, innovation and networks. A concise review and some next steps, in: A. Torre and D. Gallaud (eds.) The Handbook of Proximity Relations, Cheltenham: Edward Elgar, forthcoming. Boschma, R. (2019) The geographical dimension of structural change, in: Alcorta, L, N. Foster-McGregor, A. Szirmai and B. Verspagen (eds.) New Perspectives on Structural Change: Causes and Consequences of Structural Change in the Global Economy, forthcoming. Boschma, R. and K. Frenken (2018) Evolutionary Economic Geography, in: G. Clarke, M. Feldman, M. Gertler and D. Wojcik (eds. ), New Oxford Handbook of Economic Geography, Chapter 11, Oxford: Oxford University Press, pp. 213-229. Boschma, R. (2018), A concise history of the knowledge base literature: challenging questions for future research, in: A. Isaksen, R. Martin and M. Trippl (eds.) New Avenues for Regional Innovation Systems - Theoretical Advances, Empirical Cases and Policy Lessons. New York: Springer, pp. 23-40. Boschma, R. (2017) Regional diversification and smart specialization policy, in: P. McCann, F. van Oort and J. Goddard (eds.) The empirical and institutional dimensions of smart specialisation, London/New York, Routledge, 23-38. Crespo, J., R. Boschma and P.A. Balland (2017) Resilience, Networks and Competitiveness: A conceptual framework, in: R. Huggins and P. Thompson (eds. ), Handbook of Regions and Competitiveness, Contemporary Theories and Perspectives on Economic Development, Cheltenham: Edward Elgar, 271-286. Boschma, R. and K. Frenken (2017) Evolutionary Economic Geography, in: G. Clarke, M. Feldman, M. Gertler and D. Wojcik (eds. ), New Oxford Handbook of Economic Geography, Chapter 11, Oxford: Oxford University Press, forthcoming. Andersson, M., R. Boschma, M. Hartog and A. Lindholm-Dahlstrand (2015) Students, spinoffs and diversification (in Swedish), Det Innovativa Sverige 2, Innovation och attraction i stad och pa landsbygd, VINNOVA, Stockholm, pp. 38-61. Boschma, R. (2015) Proximity and Innovation. A critical assessment, in: D.C. Mowery and J. Fagerberg (eds. ), Innovation, Technology and Economic Change, Chapter 10, Cheltenham: Edward Elgar, reprint. Boschma, R. (2015) Smart specialization and regional innovation policy. In: R. Antonietti, G. Coro and F. Gambarotto (eds.) Uscire dalla crisi, Citta, comunita, specializzazione intelligenti, Milano: Franco Angeli, pp. 31-34. Boschma, R., P.A. Balland and D. Kogler (2015) The geography of inter-firm knowledge spillovers in bio-tech, in: F. Crespi and F. Quatraro (eds. ), The Economics of Knowledge, Innovation and Systemic Technology Policy, London/New York: Routledge, 147-169. Frenken, K. and R. Boschma (2015) Geographic clustering in evolutionary economic geography, in: C. Karlsson, M. Andersson and T. Norman (eds.) Handbook of Research Methods and Applications in Economic Geography, Cheltenham: Edward Elgar, 291-302. Boschma, R. and H. Pinto (2015) Introduction Resilient Territories, in: H. Pinto (ed.) Resilient territories, Cambridge: Cambridge Scholars Publishing, pp. 1-8. Boschma, R., P.A. Balland and M. De Vaan (2014) The formation of economic networks: A proximity approach, in: A. Torre and F. Wallet (eds.) Regional development and proximity relations, Cheltenham: Edward Elgar, 243-266. Van Aalst, I., O. Atzema, R. Boschma and F. Van Oort (2014), The creative class, related variety and economic growth in Dutch city-regions, in: C. Mellander, R. Florida, B. Asheim and M. Gertler (eds. ), The creative class goes global, London/New York: Routledge, 164-182. Boschma, R. and M. Fritsch (2014), The location of the creative class in seven European countries, in: C. Mellander, R. Florida, B. Asheim and M. Gertler (eds. ), The creative class goes global, London/New York: Routledge, 227-240. Balland, P.A., R. Boschma and K. Frenken (2013) Proximity and innovation networks: an evolutionary approach, in: P. Cooke (ed.) Re-framing regional development. Evolution, innovation and transition, London and New York: Routledge, 186-200. Boschma, R. (2013) Regional diversification and policy intervention, in: Cotella, G. (ed. ), Territorial development and cohesion in a multi-scalar perspective, Europa XXI, Warsaw, pp. 67-78. Frenken, K. and R.A. Boschma (2012), Economic development as a branching process, in: G. Buenstorf (ed. ), Evolution, Organization and Economic Behavior, Cheltenham: Edward Elgar, pp. 185-196. Boschma, R. and K. Frenken (2011) Technological relatedness and regional branching, in: H. Bathelt, M.P. Feldman and D.F. Kogler (eds. ), Beyond Territory. Dynamic Geographies of Knowledge Creation, Diffusion and Innovation, Routledge, London and New York, pp. 64-81. Frenken, K. and R. Boschma (2011), Notes on a complexity theory of economic development, in: C. Antonelli (ed. ), Handbook on the Economic Complexity of Technological Change, Cheltenham: Edward Elgar, pp. 357-365. Boschma, R. (2011), Regional branching and regional innovation policy, in: K. Kourtit, P. Nijkamp and R. R. Stough (eds. ), Drivers of innovation, entrepreneurship and regional dynamics, Springer Verlag, Berlin/Heidelberg, pp. 359-368. Boschma, R. and K. Frenken (2011), Technological relatedness, related variety and economic geography, in: P. Cooke, B. Asheim, R. Boschma, R. Martin, D. Schwartz and F. Todtling(eds.) The Handbook of Regional Innovation and Growth, Cheltenham: Edward Elgar, pp. 187-197. Cooke, P., B. Asheim, R. Boschma, R. Martin, D. Schwartz and F. Todtling (2011), Introduction to the Handbook of Regional Innovation and Growth, in: P. Cooke, B. Asheim, R. Boschma, R. Martin, D. Schwartz and F. Todtling (eds.) The Handbook of Regional Innovation and Growth, Cheltenham: Edward Elgar, pp. 1-23. Boschma, R. and R. Martin (2011), Regional evolution and innovation, in: P. Cooke, B. Asheim, R. Boschma, R. Martin, D. Schwartz and F. Todtling (eds.) The Handbook of Regional Innovation and Growth, Cheltenham: Edward Elgar, pp. 181-186. Cooke, P. and R. Boschma (2011), Regional innovation policy, in: P. Cooke, B. Asheim, R. Boschma, R. Martin, D. Schwartz and F. Todtling (eds.) The Handbook of Regional Innovation and Growth, Cheltenham: Edward Elgar, 529-533. Frenken, K. and R. Boschma (2011), Economic development as a branching process, in: G. Buenstorf (ed. ), Cheltenham: Edward Elgar, in print. Boschma, R. and R. Martin (2010) The aims and scope of evolutionary economic geography, in: R. Boschma and R. Martin (eds.) The Handbook of Evolutionary Economic Geography, Cheltenham: Edward Elgar, pp. 3-39. Boschma, R. and K. Frenken (2010) The spatial evolution of innovation networks. A proximity perspective, in: R. Boschma and R. Martin (eds.) The Handbook of Evolutionary Economic Geography, Cheltenham: Edward Elgar, pp. 120-135. Boschma, R. and F. Ledder (2009), The evolution of the banking cluster of Amsterdam 1850-1993: a survival analysis. In: D. Fornahl, S. Henn and M.P. Menzel (eds. ), The emergence of clusters. Theoretical, empirical and political perspectives on the initial stage of cluster evolution. Cheltenham, Edward Elgar, forthcoming. Boschma, R.A. (2008), Regional innovation policy. In: B. Nooteboom and E. Stam (eds. ), Micro-foundations for innovation policy. Amsterdam: Amsterdam University Press, pp. 315-341. Boschma, R.A. & K. Frenken (2008), Why is economic geography not an evolutionary science? Towards an Evolutionary Economic Geography. In: R. Martin (ed. ), Contemporary Foundations of Space and Place - Economics: Critical Essays in Human Geography, Hants: Ashgate, in press. (Reprint of: Boschma, R.A. and K. Frenken (2006), Why is economic geography not an evolutionary science? Towards an Evolutionary Economic Geography, Journal of Economic Geography, vol. 6, nr. 3, pp. 273-302). Boschma, R.A. & J.G. Lambooy (2008), Evolutionary economics and economic geography. In: U. Witt (ed. ), Recent Developments in Evolutionary Economics. Cheltenham: Edward Elgar, in press. (Reprint of: Boschma, R.A. and J.G. Lambooy (1999), Evolutionary economics and economic geography. Journal of Evolutionary Economics, vol. 9, nr. 4, pp. 411-29). Boschma, R.A. & K. Frenken (2008), Applications of Evolutionary Economic Geography. In: R. Kumar Jain B & K. Kishore Puranam (eds. ), Evolutionary Economics, Icfai University Press, Hyderabad, India, pp. 215-243. Boschma, R.A. & K. Frenken (2007), Applications of evolutionary economic geography. In: K. Frenken, (ed.). Applied Evolutionary Economics and Economic Geography. Cheltenham / Northampton: Edward Elgar), pp. 1-24. Boschma, R.A. and M. Fritsch (2007), Creative class and regional growth in Europe. In: P. Jakubowska, A. Kuklinski and P. Zuber (Eds. ), The future of European regions, Warsaw: Minstryof Regional Development, pp. 243-253. Boschma, R.A. & J.G. Lambooy (2007), Evolutionary economics and economic geography. In: M.N. Jovanovic (ed. ), Economic integration and spatial location of firms and industries. Volume 1, Conceptual Issues, Cheltenham: Edward Elgar, pp. 53-71 (Reprint of: Boschma, R.A. and J.G. Lambooy (1999), Evolutionary economics and economic geography. Journal of Evolutionary Economics, vol. 9, nr. 4, pp. 411-29). Boschma, R.A. & J.G. Lambooy (2007), The prospects of an adjustment policy based on collective learning in old industrial regions. In: M.N. Jovanovic (ed. ), Economic integration and spatial location of firms and industries. Volume 2, Agglomeration and clusters, Cheltenham: Edward Elgar, pp. 149-157. (Reprint of: Boschma, R.A. and J.G. Lambooy (1999), Theprospects of an adjustment policy based on collective learning in old industrial regions. GeoJournal, vol. 49, nr. 4, pp. 391-399). Lambooy, J.G. & R.A. Boschma (2007), Evolutionary economics and regional policy. In: M.N. Jovanovic (ed. ), Economic integration and spatial location of firms and industries, Volume 1, Conceptual Issues, Cheltenham: Edward Elgar, pp. 72-91 (Reprint of: Lambooy, J.G. and R.A. Boschma. (2001), Evolutionary economics and regional policy, Annals of Regional Science, vol. 35, no. 1, pp. 113-133). Aalst, I. van, O.A.L.C. Atzema, R.A. Boschma & F.G. van Oort (2006), Creatieve klasse en economische groei in stedelijk Nederland. In: B. Hofstede & S. Raes (red. ), Creatief Vermogen. Den Haag: Elsevier Overheid. pp. 123-155. Wenting, R. & R.A. Boschma (2006), The spatial formation of the automobile industry in Great Britain: does location matter? In: P. Nijkamp & A. Reggiani (eds. ), Spatial evolution andmodelling, Cheltenham: Edward Elgar, pp. 267-293. Weterings, A.B.R. & R.A. Boschma (2006), The impact of geography on the innovative productivity of software firms in the Netherlands. In: P. Cooke and A. Piccaluga (eds. ), Regional development in the knowledge economy, Routledge, London/New York, pp. 63-83. Boschma, R.A. (2005), Rethinking regional innovation policy. The making and breaking of regional history. In: G. Fuchs and P. Shapira (eds. ), Rethinking regional innovation and change: path dependency or regional breakthroughs? Dordrecht: Springer Verlag, pp. 249-271. Boschma, R.A. (2005), Social capital and regional development. An empirical analysis of the Third Italy. In: R.A. Boschma & R. Kloosterman (eds. ), Learning from clustering. A critical assessment from an economic-geographical perspective. Dordrecht: Springer Verlag, pp. 139-168. Boschma, R.A. & R. Kloosterman (2005), Further learning from clusters. In: R.A. Boschma & R. Kloosterman (eds. ), Learning from clusters. A critical assessment from an economic-geographical perspective.Dordrecht: Springer Verlag, pp. 391-405. Boschma, R.A. & R. Kloosterman (2005), Clustering, learning and regional development. In: R.A. Boschma & R. Kloosterman (eds. ), Learning from clustering. A critical assessment from an economic-geographical perspective. Dordrecht: Springer Verlag, pp. 1-15. Boschma, R.A., J.G. Lambooy & V.A.J.M. Schutjens (2003), Regional innovation systems, market structure and embeddedness: the transformation of regional economic configurations. In: V. Lo and E.E. Schamp (eds. ), Knowledge, learning and regional development. Munster, LITVerlag, pp. 13-38. Atzema, O.A.L.C. & R.A. Boschma (2002), De regio in de economische geografie. In: B. De Pater, P. Grootte and K. Terlouw (red. ), Denken over regio's; geografische perspectieven.Bussum: Coutinho, pp 103-126. Boschma, R.A., J.G. Lambooy & V.A.J.M. Schutjens (2002), Embeddedness and innovation. In: M. Taylor & S. Leonard (eds. ), Embedded enterprise and social capital. International perspectives, Aldershot: Ashgate, pp. 19-35. Boschma, R.A. & J.G. Lambooy (1998), Economic evolution and the adjustment of the spatial matrix of the regions. In: F. Boekema and J. van Dijk (eds. ), Innovatie en bedrijf in de regio.Assen: Van Gorcum, pp. 121-138. Boschma, R.A. and G.A. van der Knaap, G.A. (1997), New technology and windows of locational opportunity: indeterminacy, creativity and chance. In: J. Reijnders (ed. ), Economics and Evolution. Cheltenham: Edward Elgar, pp. 171-202. Boschma, R.A., K. Frenken & J.G. Lambooy (2002), Evolutionaire Economie. Een inleiding. Bussum: Coutinho. Boschma, R.A. (1994), Looking through a window of locational opportunity. A long-term spatial analysis of techno-industrial upheavals in Great Britain and Belgium. Ph.D. Thesis (Rotterdam: Tinbergen Institute). Boschma, R.A. & Kloosterman, R. (2005) (eds. ), Learning from Clustering. A critical assessment from an economic-geographical perspective. Dordrecht: Springer Verlag. Boschma, R. (2012) The global environment of business by Frederick Guy, Economic Geography, 88 (1), pp. 101-102. Balland, P.A. and R. Boschma (2019) Industry 4.0 and the New Geography of Knowledge Production in Europe, report for The World Bank. Boschma, R. (2018) Regional resilience and policy: report on Sweden, deliverable 5.2 for JPI Urban Europe project ‘Resilient Cities: Industrial Networks and Institutional Perspectives on Economic Growth and Well-Being’, March 2018, Utrecht University, Utrecht, 28 pp. Crespo, J. P.A. Balland, R. Boschma and D. Rigby (2017) Regional diversification opportunities and smart specialization strategies. Policy brief by the Research, Innovation, and Science Policy Experts RISE, DG for Research and Innovation, Brussels. Rodriguez-Pose, A., R. Boschma, L. Tsipouri and A. Bonaccorsi (2017) The diffusion deficit and economic convergence, in: Europe’s Future: Open Innovation, Open Science, Open to the World, reflections of the RISE group, European Commission, DG Research and Innovation, Brussels, pp. 35-46. Boschma, R. (2016) Smart specialisation and regional innovation policy, Welsh Economic Review, 24, p. 17, Cardiff: Cardiff University Press. Van den Berghe, M., A. Weterings and R. Boschma (2014) Regionale diversificatie in eco-technologieen, ESB, jaargang 59, 4698S, pp. 38-42. Boschma, R., R. Crescenzi, A.M. Esteves, M. Percoco, L. de Propris and M. Thiene (2013), Sketch of a Strategy for the Basilicata region, Towards an Operational Regional Development Program Basilicata Region 2014-2020, final report, assignment by the Italian National Government and the Basilicata Region, Rome, February 2013, 110 pp. Boschma, R. and R. Cappelli (2012), Policy Incentives for the Creation of Knowledge, an EU-Funded Research Project Exploring the Key Role of Public Demand in Innovation Policies Aimed at Fostering the Multifaceted Dynamics of Technological Knowledge, European Policy Brief, PICK-ME project, Utrecht, December 2012, 9 pp. Ascani, A., R. Boschma, R. Crescenzi, S. Iammarino and E. Wesselink (2012), Report on the Development Effects of both the EU Enlargement and the ENP since their Implementation in 2004: Socio-economic Cohesion, Regional Disparities and Intensities of Economic Interactions, Deliverable 1.1, SEARCH Project, 7th European Community Framework Program, Grant Agreement 266834, January 2012, 100 pp. Wesselink, E. and R. Boschma (2012), Taking Stock of Research Projects on the European Neighbourhood Policy, SEARCH Project, 7th European Community Framework Program, Grant Agreement 266834, January 2012, pp. 5-41. Borell, M., R. Boschma, V. Monastiriotis and E. Wesselink (2012), Report on ENP Policy Concerning its Objectives and Policy Measures over Time, Deliverable 1.2, SEARCH Project, 7th European Community Framework Program, Grant Agreement 266834, January 2012, 84 pp. Wesselink, E. and R. Boschma (2012), Overview of the European Neighbourhood Policy: Its History, Structure, and Implemented Policy Measures, SEARCH Project, 7th European Community Framework Program, Grant Agreement 266834, January 2012, pp. 5-69. Ascani, A., W. Bartlett, R. Boschma, R. Crescenzi, S. Iammarino, V. Monastiriotis and E. Wesselink (2012), Conceptual Framework for the Assessment of the Impact of Differentiated/Incomplete Integration on both the New Member States and the Neighbouring Countries, Deliverable 1.3, SEARCH Project, 7th European Community Framework Program, Grant Agreement 266834, January 2012,17 pp. Atzema, O., R. Boschma en B. de Pater (2011), De regio in de economische geografie, in: Denken over regio's. Geografische perspectieven, pp. 127-166. Neffke, F., M. Burger, F. van Oort and R. Boschma (2010), De evolutie van skill-gerelateerde bedrijfstakken in de Noordvleugel van de Randstad. Kansen en bedreigingen, rapport in opdracht van Ministerie van Economische Zaken (EZ), 85 pp. Boschma, R. (2009), Evolutie in de Economische Geografie, in: L. van der Laan en M. Versantvoort (red. 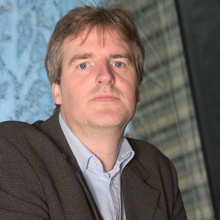 ), Netwerken en regionale analyse, Delft: Eburon, pp. 145-153. Boschma, R. (2009), Related Variety and Regional Innovation Policy, Est-Ovest, 6, forthcoming. Boschma, R. and K. Frenken (2008), Evolutionary Economic Geography. A Review, DIME-report, Work Package 3.2, 97 pp. Boschma, R. en J. Lambooy (2008), Toeval of niet? Evolutie in de economische geografie, in: R.van Kempen, I. van Aalst, K. Frenken en A. Zoomers (eds. ), Honderd jaar geografie in Utrecht. Over gebieden, actoren en stromen, Utrecht: Faculteit Geowetenschappen, pp. 101-106. Boschma, R. (2008) Evolutionary Economic Geography and Innovation Policy, final report, Korean Development Institute, Seoul, 30 pp. Boschma, R. (2007), Nederland laat kansen liggen. ESB, juli, pp. 74. Boschma, R. (2007), Path creation, path dependence and regional development. In: J. Simmie and J. Carpenter (eds. ), Path Dependence and the Evolution of City Regional Development, Chapter 3, Working Paper Series No. 197, Oxford Brookes University, Oxford, pp. 40-55. Roso, M. & R. Boschma (2007), Noodklok luidt voor boomteeltcluster in Boskoop. Strategische groep en Innovatie. Geografie, oktober, pp. 10-12. Asheim, B., R.A. Boschma, P. Cooke, A. Dahlstrand-Lindholm, P. Laredo & A. Piccauga (2006), Constructing regional advantage. Principles, perspectives, policies, May, DG Research, European Commission, pp. 1-90. Atzema, O.A.L.C., R.A. Boschma & K. Frenken (2006). De innovatieve regio is overal. Aelementair 5(2): 16-19. Boschma, R.A. (2006), Evolutie in de Economische Geografie, inaugural lecture, 8 February, Utrecht: Faculty of GeoSciences, 20 pages. Boschma, R.A. (2006), Innovation and geography. Implications for regional innovation policy, Paris: OECD, pp. 1-20. Aalst, I. van, & O.A.L.C. Atzema, R.A. Boschma, F. Heinz, & F.G. Oort (2005). Creatieve klasse en regionaal-economische groei. Den Haag: OCW/EZ. Boschma, R.A. (2005), Competitiveness of regions from an evolutionary perspective. The Association of Regional Observatories, pp. 10-13. Boschma, R.A. (2005), Is regionaal innovatiebeleid zinvol? Stedebouw en Ruimtelijke Ordening, 96(3), 10-19. Boschma, R.A. (2004), Evolutionaire economische geografie. Rooilijn 37(5), pp. 249-254. Boschma, R.A. (2004), Het industriele district-model van het Derde Italie. Geografie 8, pp. 28-31. Boschma, R.A. (2004), Some reflections on regional innovation policy. DG X Research. Brussels: European Commission. Frenken, K., F.G. van Oort, T. Verburg & R.A. Boschma (2004), Variety and regional economic growth in the Netherlands. The Hague: Ministry of Economic Affairs. Boschma, R.A. (2003), De nieuwe economische geografie. Geografie, 22-25. Kramp, C., N. Waaning & R.A. Boschma (2002), Afstand beperkende factor bij internationale uitbesteding software-ontwikkeling, Geografie, pp. 27-30. Boschma, R.A. (2000), Het Derde Italie: een nieuw type industriele ontwikkeling. Economist, 9(6), 11-14. Boschma, R.A. (1999), De monetaire unie in de EU: een zegen of een onding?, Inter-Disciplinair, 10 (1), pp. 12-14.